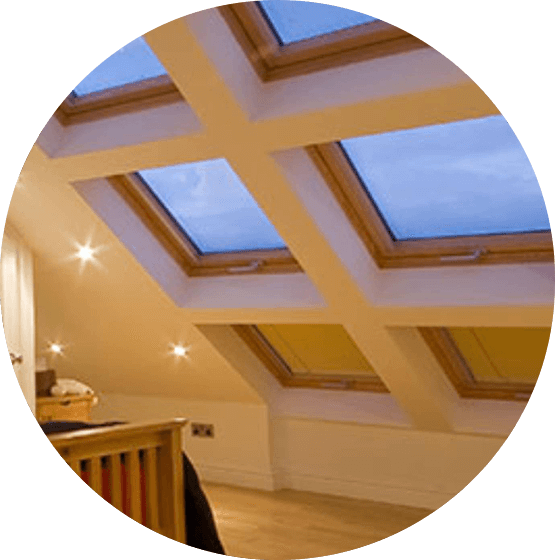 Once you have agreed upon a design build for your loft conversion with Sky Blue Lofts, you need to spend time thinking about what type of lighting will work best in your newly created attic room. Does your room in the roof allow for spotlights in the ceiling? Can wall lights be fitted? Either option will need to be fitted by one of our trusted electricians. Alternatively, if you only require table lamps or up-lighters then this part of the build stage is not required. LED spotlights use at least 75% less energy, and last 25 times longer than traditional bulbs. They are very bright and so can benefit from using a dimmer switch to create the perfect ambience for your new bedroom, bathroom, office etc. 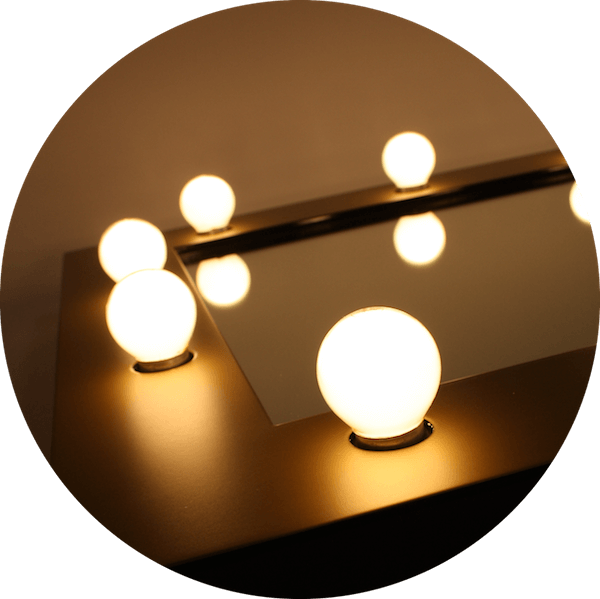 Sensor lighting is a good option for rooms that will be used less. With automatic ‘switch on’ when you enter the room, the lights will then turn themselves off after a short period of time until the next person enters the room. This is an ideal option to place by stair access to your attic conversion. Once Sky Blue Lofts have carried out their ‘sparkle clean’ you can start using your lovely new loft conversion. However, you will now be considering additional finishing touches. What colour should the walls be painted? Should I opt for neutral soft furnishings or go bold? Most importantly, how, where, and should additional lighting be placed in your brand new living space? Feature lighting can transform a room. Try a wall mounted bicycle wheel that has LEDs on each spoke or a theatre dressing room type mirror. If your room has lots of nooks and crannies, then delicately placed fairy lights can work wonders! Loft conversions with velux windows massively brighten a room, therefore you will need to think about the type of blinds, or curtains to fit. It can be difficult to sleep when sunlight (or bright moonlight!) is pouring into your room. Choose blackout blinds to solve this problem.